Having lost four of their last five Premier League matches, Everton travel to Brighton & Hove Albion this Sunday in need of an uplifting display. Manager Ronald Koeman revamped his squad during the summer, but they have not looked balanced or settled as a side yet. A succession of difficult fixtures has not helped, but a lack of pace and width stand out as the two most obvious shortcomings. Wayne Rooney, Gylfi Sigurdsson and Davy Klaassen are all new signings of a similar type. They don't have pace or like to play infield rather than hugging the touchline, and each prefers to receive passes to feet rather than in behind. So when two or more of them feature in the same XI, much of Everton’s interplay has been funneled inside, and their passing has primarily been played in front of the opposition. Everton have sorely missed the speed and directness of players such as Yannick Bolasie, Aaron Lennon and Ademola Lookman, who all stretched the pitch wide last season. Switching Sigurdsson from the left into a central role, and reintroducing a natural winger may be a ploy worth considering for Koeman. Not surprisingly, Everton also miss the pace and runs of Romelu Lukaku, their top goalscorer last season, up front. 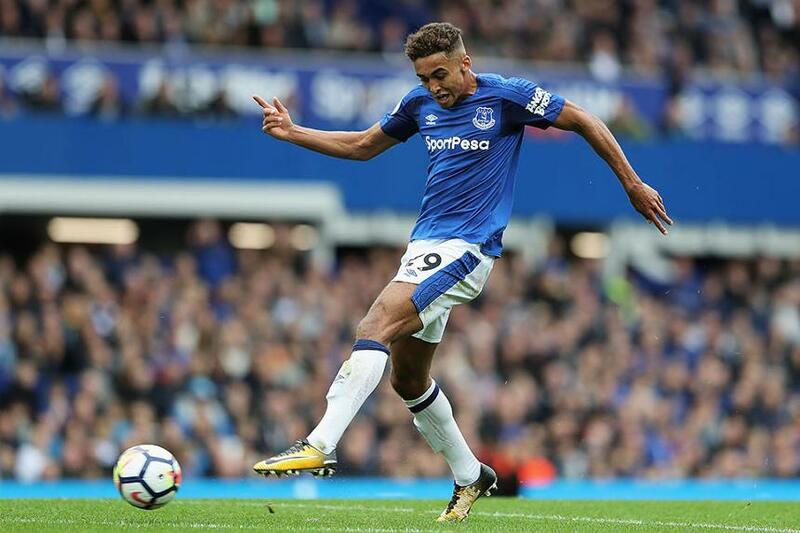 Dominic Calvert-Lewin, pictured top, is their quickest attacking option and, on occasion, the 20-year-old has looked terrific. But his movement still looks raw and he has plenty to learn. Elsewhere up front Sandro Ramirez is neat and tidy but rarely runs beyond his markers. Rooney is sharp but likes to come short, and Oumar Niasse, Everton’s two-goal hero against AFC Bournemouth, is quick but rough around the edges in his decision-making. Too often Everton’s midfield have looked up to play an incisive pass and been left with no options. More offensive dynamism is required to force opponents to either drop off or create holes for midfield runners to exploit. This sluggish movement and slow build-up play is reflected in the number of passes it takes for Everton to attempt a shot on goal. Last season the Toffees registered a shot every 35 passes, and a PL goal every 283 minutes. They are not close to matching those numbers at present. Koeman has also been unsure of his best XI and preferred shape. To date he has used five different formations from the start, and made a succession of early tactical tweaks or substitutions. We have seen four personnel changes at half-time, and a string of substitutions around the hour. Have these constant alterations unsettled some of the players? Possibly. In defence the usually reliable Ashley Williams and Michael Keane, who have been part of back threes and back fours, have looked unusually shaky. It may benefit the team for Koeman to settle on a shape and to include forwards who offer more speed and width. Everton are too one-paced at the moment. To overcome a stubborn Brighton side at the Amex Stadium this weekend, the team will need to inject more energy and verve into the way they attack.